FBI head Mueller says some of the laser beams may have been added in post. WASHINGTON—Analysts now believe that last month’s horrific attack on San Francisco’s Golden Gate Bridge, which left thousands missing and assumed dead, may have actually been carried out with green-screen technology, FBI officials announced Monday. Sources said federal authorities revisited video of the tragic events of May 16 after a field agent noticed a bright, greenish hue running along the outline of the bridge, and completely surrounding the low-flying missile that entered slowly from the right and struck the beloved national monument. Digital forensic analysts were also able to uncover a number of additional anomalies that may change the way history remembers that terrible day. One of the many tragic, indelible images of the 5/16 attacks. 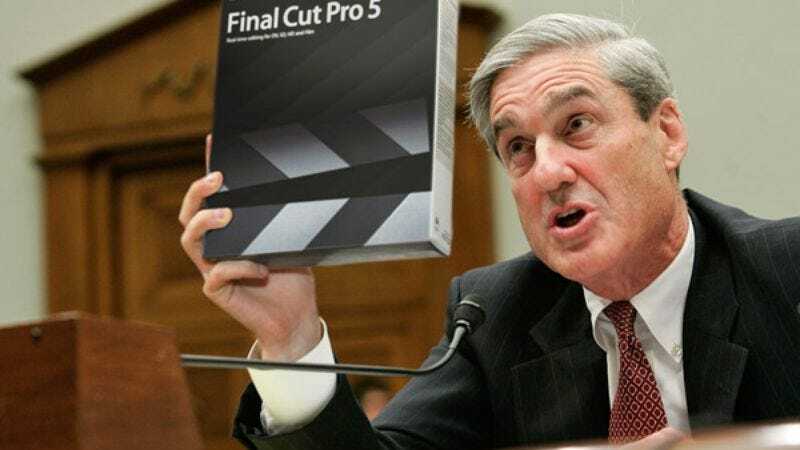 “And this would certainly explain why that giant boom mic kept dropping into the shot,” Mueller added. The director also said that the use of chroma-key technology to stage an attack would support widespread claims that rescue workers responding to the bombing were unable to reach the destroyed Golden Gate Bridge because of rush-hour traffic on the Golden Gate Bridge. Until the bureau can investigate further, the retaliatory bombings in Afghanistan, Pakistan, and Iran have been halted. In addition, the Defense Department has called off its search for the three Arab men who were last seen fleeing the scene of the attack on surfboards. Homeland Security Secretary Janet Napolitano assured the public that reviewing the video footage has already provided military officials with valuable insight into the strategy of terrorists who wish to harm America. According to the White House, President Obama has been kept abreast of the FBI’s ongoing investigation into the 5/16 attacks. In a televised address from the base of the partially completed Golden Gate Bridge Memorial Wall, Obama reiterated the need for constant vigilance.